Targeted medical nutrition now available for addressing age-related muscle loss and the related conditions that negatively impact a staggering 45% of the elderly in the U.S.
NEW YORK, May, 2016 – Nutrition For Healing® LLC announces the launch of MEND™ Regenerate, which is now available through medical practitioners and other healthcare providers nationwide and throughout Canada. The all natural formula, a blend of clinically researched, proven ingredients designed specifically to address age-related muscle loss is being rolled out for medical distribution after being tested for efficacy for two years in a busy orthopedic facility in Newport Beach, California. 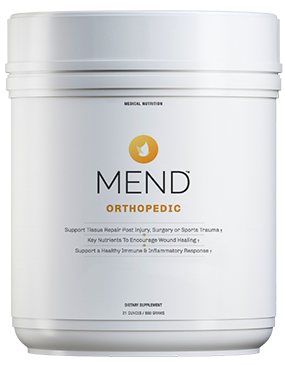 This is Nutrition for Healing’s first product launch after the introduction of MEND™ Orthopedic which recently was named Editor’s Choice and one of the top sports nutrition products for 2015 by Informa’s SupplySide, producer of one of the world’s largest nutrition exhibitions. 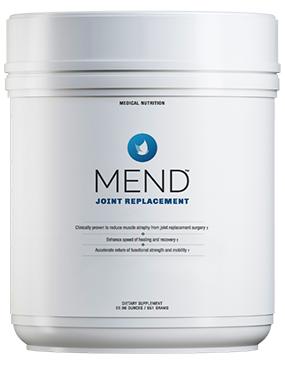 MEND™ Orthopedic has been used by thousands of consumers and is now being used by a growing list of professional sports teams across the globe. 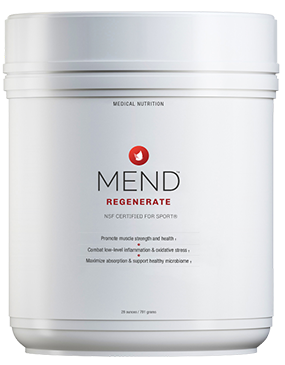 MEND™ Regenerate is focused on combatting aging related muscle loss, which negatively impacts strength, stamina, mobility, balance and overall vitality. We begin losing muscle mass as early as in our 30s, after only three decades of watching those muscles grow bigger and stronger. As part of that decline, we lose not only muscle mass – as much as 3 to 5 percent per decade – but also function, so activities that weren’t risky in our 20s could make us more prone to injuries in our 30s and beyond. This can lead to a vicious cycle of decline. Some loss is natural but accelerated loss indicates for lifestyle choices and factors. There are a number of factors that contribute to aging related muscle loss including lack of resistance exercise, reduction in hormones and poor nutrition. Because muscles begin synthesizing protein differently as we age, we need to take in not only more protein, but different protein, especially proteins that digest quickly. Proteins that reach the body sooner are able to heal muscles more quickly after exercise, reducing the risk of loss. 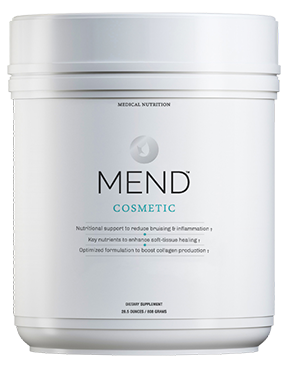 MEND™ Regenerate has been formulated specifically to get healthy fast absorbing proteins into the body.